We are using google analytics for statistics! In manufacturing, advanced robotic technology has opened up the possibility of integrating highly autonomous mobile robots into human teams. However, with this capability comes the issue of how to maximize both team efficiency and the desire of human team members to work with robotic counterparts. We hypothesized that giving workers partial decision-making authority over a task allocation process for the scheduling of work would achieve such a maximization, and conducted an experiment on human subjects to test this hypothesis. We found that an autonomous robot can outperform a worker in the execution of part or all of the task allocation (p < 0.001 for both). However, rather than finding an ideal balance of control authority to maximize worker satisfaction, we observed that workers preferred to give control authority to the robot (p < 0.001). Our results indicate that workers prefer to be part of an efficient team rather than have a role in the scheduling process, if maintaining such a role decreases their efficiency. 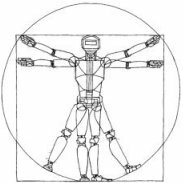 These results provide guidance for the successful introduction of semi-autonomous robots into human teams.